Dragon Slots are two-headed, gray, serpentine dragons with red eyes that appear in Donkey Kong Jungle Beat. Dragon Slots first appear in the Apple Kingdom's level Ice Warren. By using the Sound Wave Attack near one, the dragon's mouth opens and it starts to inhale. If Donkey Kong is close enough to the mouth, he is sucked into it and is transported through the dragon's neck, before emerging from the other mouth. Using the Dragon Slots, Donkey Kong can move to distant locations. They later appear in various other levels, such as the Lychee Kingdom's Lava Cavern and the Star Fruit Kingdom's Asteroid Belt. Dragon Slot appears as an unused model under the name NeckDragon in Super Mario Galaxy, missing some of its original textures from Donkey Kong Jungle Beat. 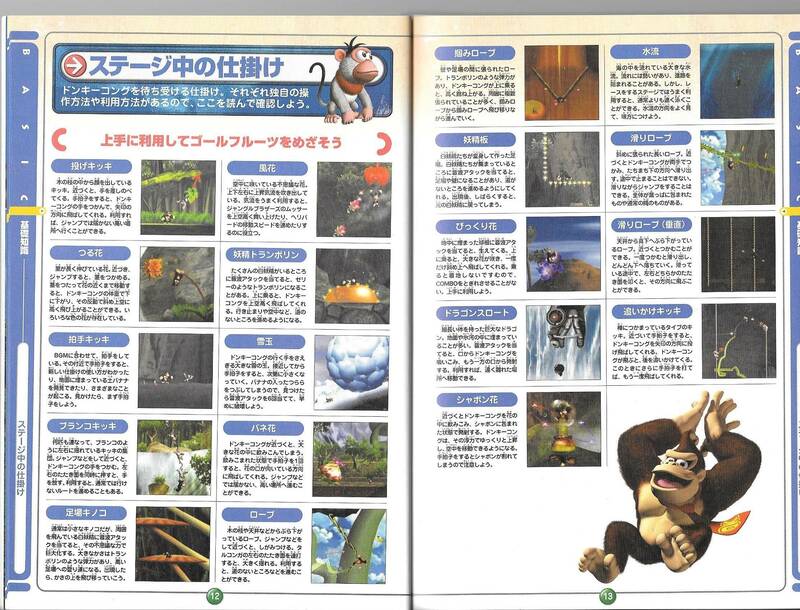 ↑ Donkey Kong Jungle Beat Shogakukan book. Page 13. This page was last edited on April 19, 2019, at 12:23.